Having only played their first shows in May, it’s fair to say that WSTR are new to the whole ‘band’ thing. The Liverpudlian quintet are one of the newest additions to Britain’s flourishing pop punk scene, and having just released SKWRD, their first EP, it seems likely that they’ll be a name on pop punk fans’ lips a lot in the coming months. There’s an awful lot to get excited about on SKWRD, be it Fair Weather‘s heartfelt yet chuckle-inducing lyrics or opener South Drive‘s chirpy cheerfulness. To be completely honest, it’s the most generic pop punk you’ll ever hear, but it’s damn good. Everything you’d expect to hear in a handful of pop punk songs is here. There are ‘I hate this town’ and ‘I love my friends’ anthems, and singer Sammy Clifford could easily be mistaken for Ben Barlow. 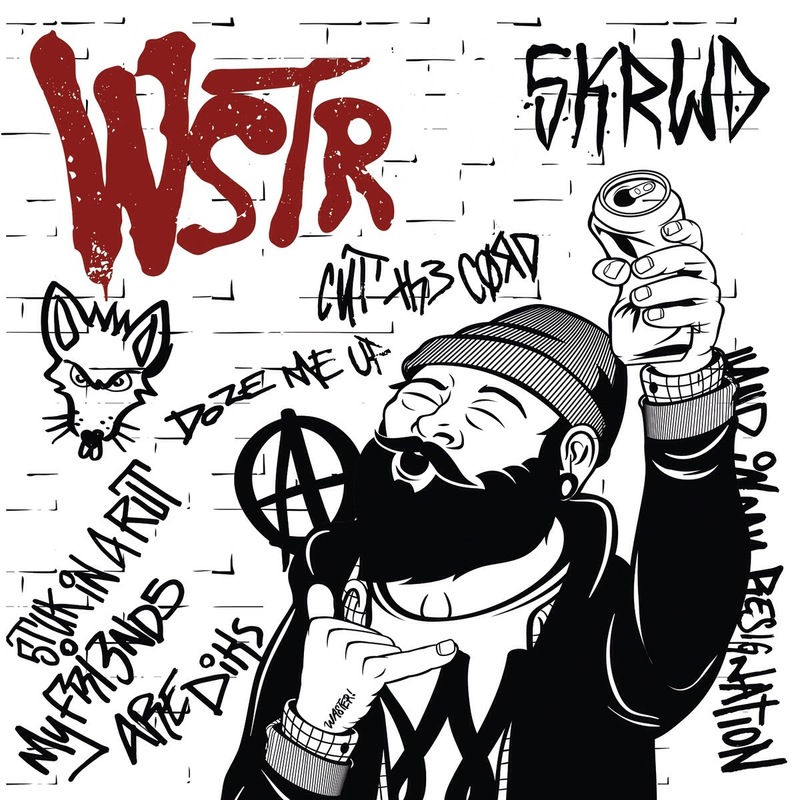 But although WSTR are a relatively green band, SKWRD sounds polished and professional, and is missing the rawness one would expect from an EP. But the downfall of SKWRD is that the quintet have arguably opened with their strongest tracks first. South Drive is a slice of pop punk perfection past the initial abrasive vocals, while Fair Weather and Graveyard Shift are definite ones to get fists pumping and crowds shouting. But the final two tracks Ain’t Great and Devils ‘N Demons bring the SKWRD down. It’s not that they’re bad songs, it’s just that they lack the exceptional quality of the first part of the record. Above all, SKWRD showcases a band with potential. Achieving a sound on a debut EP that hundreds of pop punk bands have wasted albums to find is no mean feat, and with a little work and time, WSTR are no doubt going to be up there with the most popular bands in the genre. ‘SKRWD’ by WSTR is out now on No Sleep Records.